APRA AMCOS and the AGSC have unveiled the nominees for this year's Screen Music Awards. Tomorrow When the War Began- The Series, produced by Michael Boughen, Matthew Street and Tony Winely has been selected as a finalist in the 16th Screen Producers Australia Awards for Children Series Production of the Year. Australian Cinematographer Magazines sits down with Simon Ozolins ACS to discuss his career, style and work on the ABC's new adaption of Tomorrow When The War Began. Girlfriend Magazine caught up with Molly Daniel's to answer all her biggest fangirl questions. Below is a short transcript of the interview. Yahoo! Entertainment caught up with Molly Daniel's to ask some Tomorrow, When The War Began questions. Check out a short transcript of the interview and watch the full interview below. Author John Marsden and actress Fantine Banulski stop by News Breakfast to discuss Tomorrow, When The War Began. Actress Molly Daniels (You’re Skitting Me, The Librarians) will be taking on the role of Ellie, the books main protagonist. Jon Prasida (Hiding) will be playing Lee who's the most mysterious of the group as he's shy and quiet. Narek Arman (Packed to the Rafters, Dance Academy) has been casted in the role of Homer, Ellie's neighbor and friend. Homer is a goofball and a trouble-maker. Madeleine Madden (The Code, Redfern Now) will be playing Corrie, Ellie's best friend. Fantine Banulski (You’re Skitting Me, Miss Fisher’s Murder Mysteries) as Robyn who's the most noble and acts as the group's moral compass. 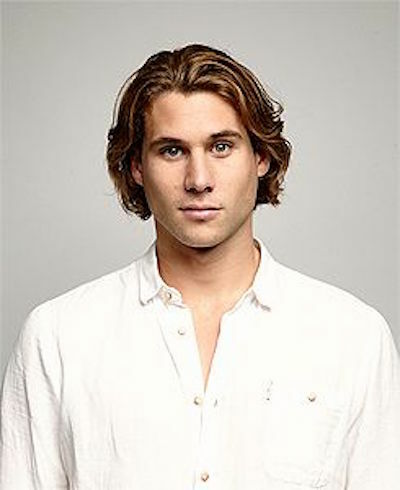 Keith Purcell (Neighbours) will be playing Chris who doesn't initially start out in the group but ends up joining them. Madeleine Clunies-Ross, a new comer, will be taking on the role of Fi, one of Ellie's friends who lives in town. And rounding off the group is another new comer, Andrew Creer will be playing the role of Kevin. He's Corrie's boyfriend and the most rural of the lot. Brendan Maher will be directing the series. Below is a quote from Maher about the source material. The series is expected to air on ABC3 in Australia in early 2016. No word yet when or where it'll be released internationally. For behind the scenes pictures and videos make sure you check out the facebook page for the TV series. Overall I'm pleased with this casting. I've never seen any of them act before but just from looking at pictures of them I can see some of the characters essence in them. As someone who loves the film version and thought they had the perfect casting I do admit it might be tough for me to compare them but I'm going to try to separate the film from the show. I think this lot can bring the characters to life and more than anything that's what I want. I want to see these characters lives played out because I find the story to be so intriguing.